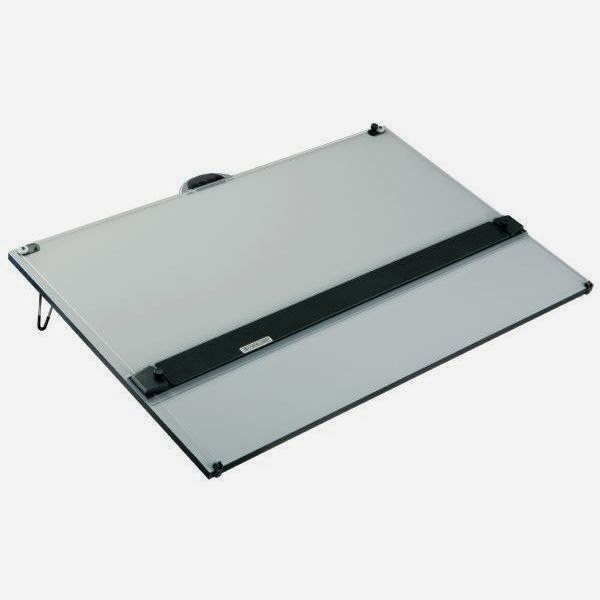 This portable drafting board by Alvin offers a large drawing surface in a compact package, perfect for on site drafting and design needs. Rubber tracks create an overhanging edge and a comfortably angled work surface, as well as ensuring secure placement on any surface. Rear legs fold flat and also feature nonslip rubber feet. This, and its convenient carry handle, create a work surface superbly suited for precision drawing yet also easily transported to any location. 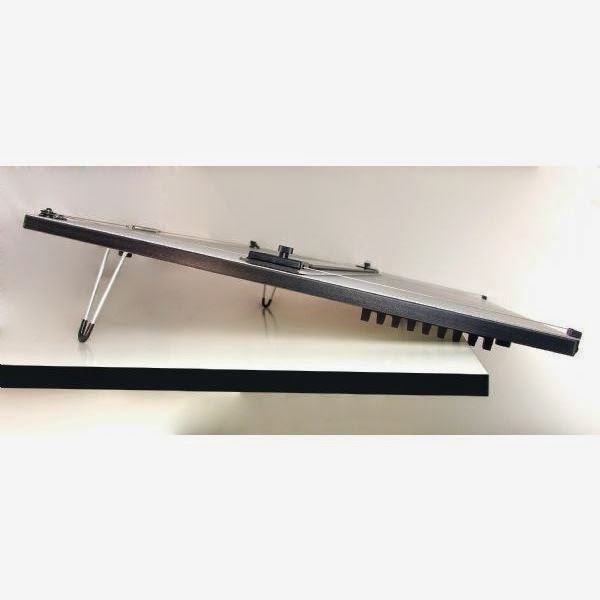 It includes an integrated professional quality parallel strait edge with a phenolic plastic blade that glides on guide wires that keep it parallel, with nylon bearings that guarantee smooth operation. An elevated acrylic inking edge eliminates smudging of lines and a twin braking system locks the straightedge securely in any position. 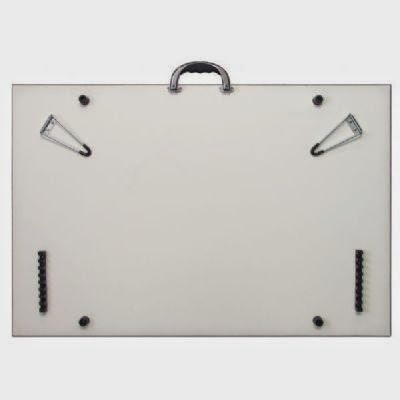 This straightedge, in conjunction with squares and adjustable triangles, allows for precision drafting that will meet any need and the included VYCO VBC77 gray/white vinyl board cover creates a soft, protective work surface. All of these features are found within one compact collapsible package with an overall weight of just 22 lbs., making its transport simple, not awkward or back breaking, all while still maintaining a professional quality drawing surface.